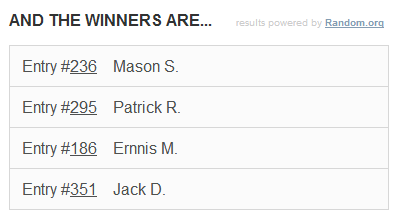 Swordroll's 100th Follower Contest Winners Announced! The time has finally come! The Swordroll's 100th Follower Contest has finally ended! We as a community got him up 20+ followers! Great job guys! He is not at 115 followers thanks to your help. Now, you may be wondering who won the contest. Let's first recap on the prizes. 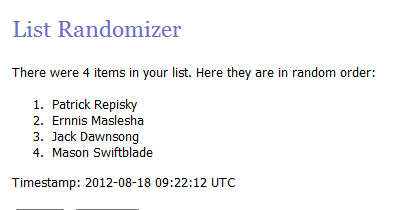 Up for grabs were 3 RaiderZ Online Closed Beta Codes as well as 2,500 Crowns meaning there were 4 winners. Now to announce the winners. 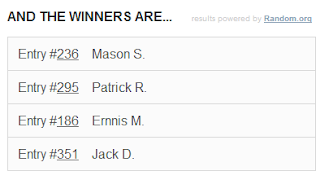 Congratulations to Patrick Repisky who won the 2,500 Crowns! 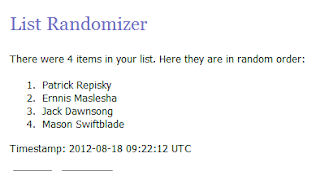 Ernnis, Jack and Mason all won RaiderZ Online Closed Beta Codes! You will all be contacted with your code. Thank you everyone who entered! You all did an amazing job! Don't forget to check back here every for the next 25 days to enter your name many times for my 150th follower contest! I am already at 158 so if I get 2 more followers, i'll throw in another 2,500 Crowns! Currently, the prizes are 3 hoards and a code for 2,500 Crowns. At 160 followers, another 2,500 Crowns code is added and at 170, a 5,000 Crowns code is added. Don't miss out on this amazing opportunity at some amazing crowns and hoards! Thanks for all of those contests! YOur blog is truely awesome even if there was no contests!